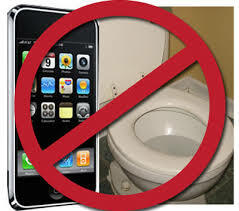 This week I dropped my iPhone down the loo! You’d think I’d have learned my lesson the last time I did it, or the time before that when it was my kindle that met a watery end! Why am I so inclined to lose electrical gadgets this way? Can I blame the MS or is it just me being careless? I can blame MS actually. When balance is a distant memory and you use sticks to get about outside and clutch the furniture/walls/other people to get from room to room indoors it becomes increasingly difficult to hold things at the same time. Not to mention MS hands that cause things to spontaneously leap for freedom when you least expect it! Usually when there’s a particularly hard floor to break the fall! My kindle had been tucked into my bra (I didn’t have pockets big enough) when I lent forward to lift the toilet seat and SPLASH! Goodbye kindle! I often tuck things into my bra when I don’t have any pockets. 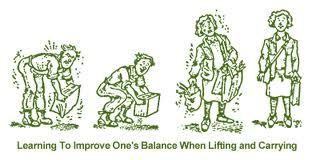 Carrying a bag can be fraught with danger when walking with sticks, you have no spare hands so it has to go over your shoulder. It can then slip down as you hobble along, causing an awkward pause while you heave it back up again. It can also alter your sense of gravity, making you lean slightly to one side, which can also cause problems! I have a lovely bag with a long strap that goes across my body but this also has a life of its own and often makes its way round to my front, dangling precariously, causing me to lean forward even more! If I have to pay for things I will often slip the notes into my bra, worrying about where to put the change later! This is why pockets are a lifesaver! I had my phone in my back pocket a few months ago when it leapt out and into the toilet while I was pulling my trousers up! The screen was so cracked and damaged it didn’t stand a chance! I put it in rice (as advised by well meaning websites) and left it submerged for the obligatory 2 days but it was doomed! I replaced it (at vast expense) and vowed never to keep it in my back pocket again! This time it was in my side pocket, I pulled my trousers up and SPLASH! NOOOOOOO! This time The Husband followed all the correct steps and I waited, patiently, for 48 hours. During this time I was forced to log onto my lap top every time I checked my emails! I had to log onto Twitter and Facebook to see what was going on out there in MS land and hate to think how much I missed! I was amazed when my beloved phone pinged back into life last night! I spent a happy couple of hours catching up with messages and notifications and have vowed (again) never to take it with me to the bathroom again! I’d love to know how other MSers manage with transporting their stuff about? Is there a solution I’m not aware of? ← If you can’t stand the heat …..?